Gear up for your next event or just show your love for the Austrian circuit in the official Red Bull Ring Spielberg collection. 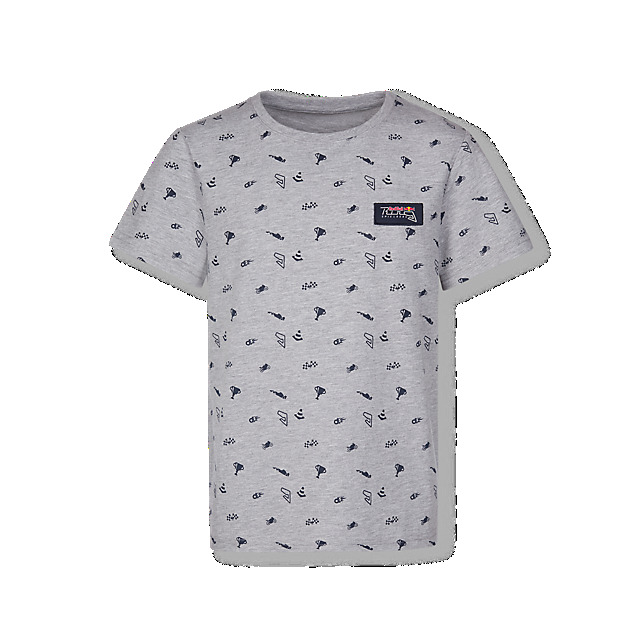 This racing-inspired T-Shirt in grey rocks an all-over pattern featuring the circuit, F1 cars, chequered flags, trophies and cones, complemented by a Red Bull Ring logo patch on the chest. 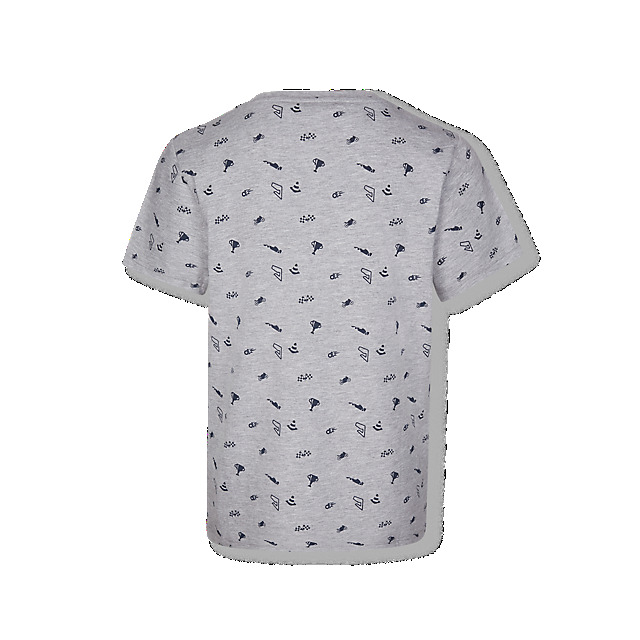 Designed in comfortable cotton with short sleeves and a crew neck, it's perfect for junior racing fans.